Fascinating, Beautiful, Mesmerizing ... these are some of the words used to describe our feathered ambassadors of our Raptor education program. 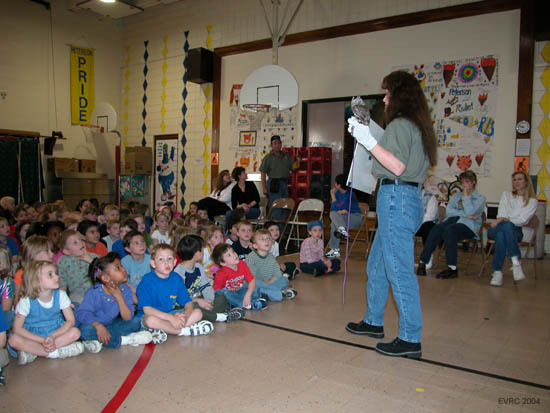 We bring an exciting and informative educational program to a variety of audiences including: schools, civic groups, Bird clubs, Boy and Girl Scout groups, fairs, environmental and other appropriate organizations. 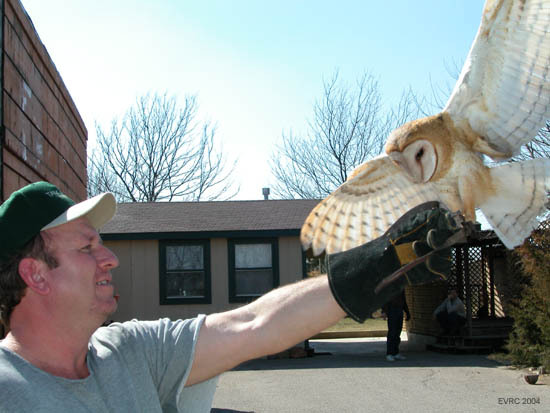 Our birds provide a unique opportunity for groups to view and more intimately understand and appreciate these majestic animals. 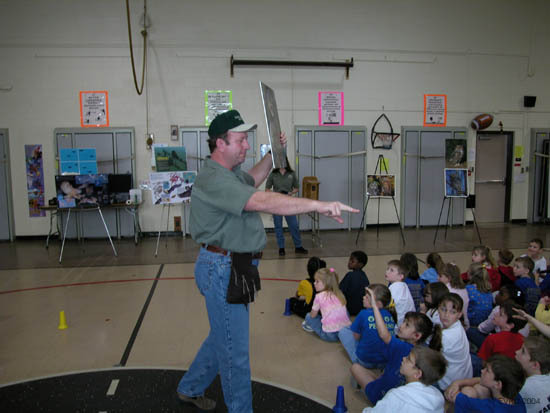 In our 45 minute to one hour presentation, we bring a variety of live birds. 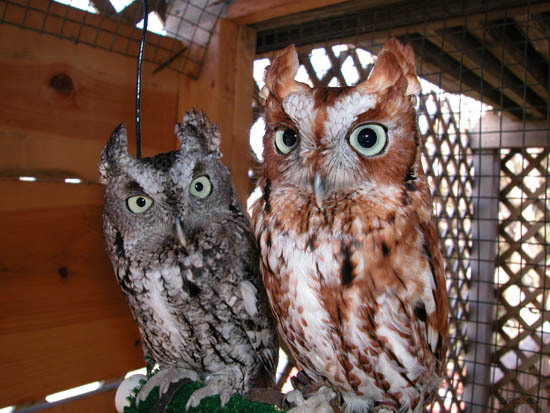 Included is a Great Horned Owl, Barred Owl, Screech Owls, Barn Owl, Red-tailed Hawk, Harris Hawk, Golden and Bald Eagle and a Eurasian Eagle Owl, considered the largest Owl in the world. Also included are several 'touchables' such as Talons, Wings, Pellets and Perches used in Raptor Rehab. 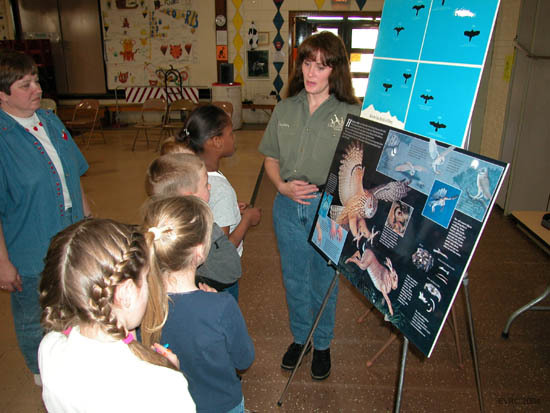 Posters and an educational video for longer programs are available. Programs can be tailored specifically to age groups and audience size. From the tiny Screech Owl to the awesome power of the Eurasian Eagle Owl our Wildlife ambassadors will inspire and inform.